MB-70-2 NO: I'm NOT using a Stock Antenna. MB-80-1 YES: I'm using a Hidden Antenna. 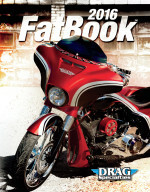 "ABS'' PPO Dual Exhaust Stretched Saddlebags DR-4000SB & ABS Stretched Street Glide Style Facia. The saddlebags have a 4" drop dual exhaust. This facia has NO lighting system. Lids sold separately. Designed to be used with stock backrest, tour-pack. We use High Quality and Strength Injected Composite. ABS/PPO 4''drop Stretched saddlebag features: Compatible with stock mounting hardware compatible with stock lids Constructed of high-quality, injected ABS/PPO composite with a smooth finish inside and out may requires some miner body work prior to painting. With an ABS/PPO Stretched Street Glide Style Facia.